It’s Friday. We’ve pretty much made it. The weekend is only hours away. You know what you need? (Besides the obvious cocktail and maybe a nap.) You need one (but in all honesty, three) of these mini cheesecakes in your face. You really do. Your thighs might disagree, and I get it, my thighs tend to be of the disagreeable sort… but, tell your thighs to can it. You can eat kale tomorrow. Today is for cheesecake. When I came across this recipe from the lovely Tracy at Shutterbean, I knew I had to make it. 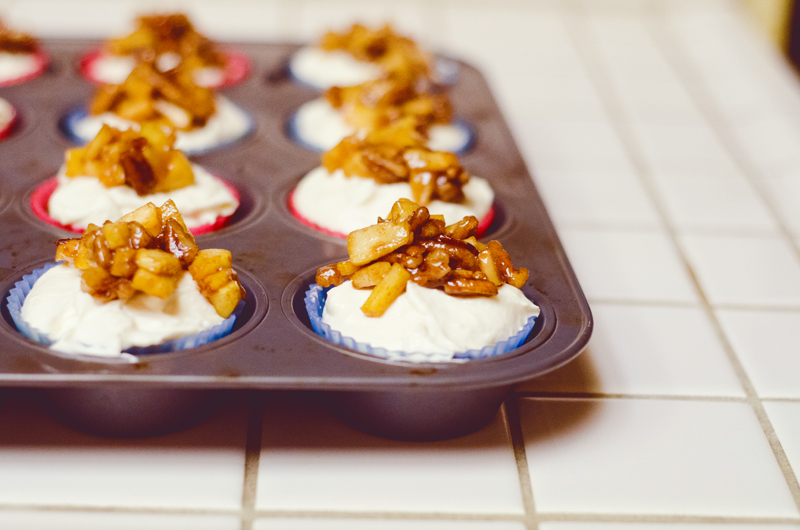 The only challenge was to make it gluten-free…But, that was not going to dissuade me from making these beauties. I replaced the graham crackers in the crust with gluten-free gingersnaps. I also modified a few ingredients based on what I had in my pantry at home. But really, other than a few minor tweaks, I stayed pretty true to the original. My husband tells me it is one of the best deserts he has had in a long time. This is coming from a man who has a pretty big sweet tooth. I once saw him eat an Abba-Zaba and chase it with a Dr. Pepper in under a minute. We all have our talents. It was simultaneously shocking, concerning and impressive. Even more impressive, he didn’t suffer from heart palpitations or sugar sweats afterwards. He just went about his day as per usual. He is an extreme mammal and I love him for it. So, as you can imagine he knows his desserts, and this one was at the top of his husband approved two thumbs up list of epic yumminess. Lets get to it. Waste no time. 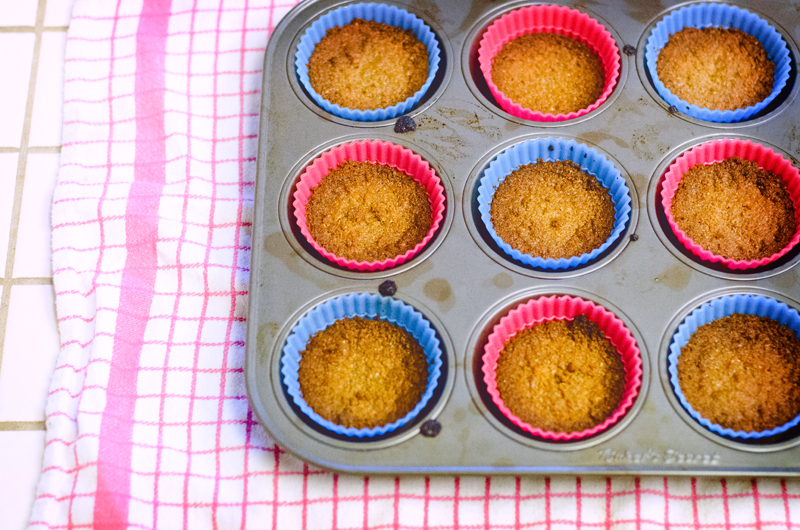 Line your muffin tin with 10 cupcake liners. In a food processor, pulse together your gluten-free gingersnaps, pecans, sugar, salt, cinnamon and butter. Pulse together until the mixture is thoroughly combined. Divide gingersnap mixture between your cupcake liners. Press it into the bottom and up the sides of the liner, packing it tightly. Bake until crusts are lightly browned, about 10-12 minutes. Let them cool off completely. In a medium bowl, using an electric hand-mixer, beat the cream cheese on high until it becomes fluffy (3 minutes or so) . Add the confectioner’s sugar, apple butter, and vanilla extract and beat until smooth. In another medium bowl, with clean beaters, beat the heavy cream on high until it forms stiff peaks. Gently fold the whipped cream into the apple butter cream cheese mixture a little bit at a time. Divide the mixture among the cooled crusts and refrigerate until set. This will take at least an hour, but you can let them set up to overnight. While cheesecakes are setting, you can start to make your apple pie topping! Melt butter in a small saucepan over medium high heat. Add your apples, pecans, sugar & cinnamon and cook, stirring occasionally until apples are just soft, about 4-5 minutes. Finish with a pinch of salt, Let your topping cool. 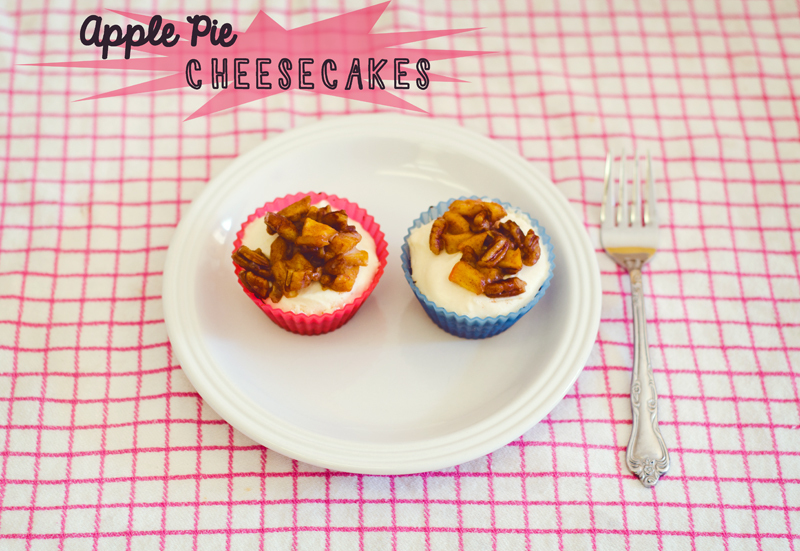 When ready to serve, place a tablespoon of the apple pecan topping on each mini cheesecake! Try to eat just one. I dare you.